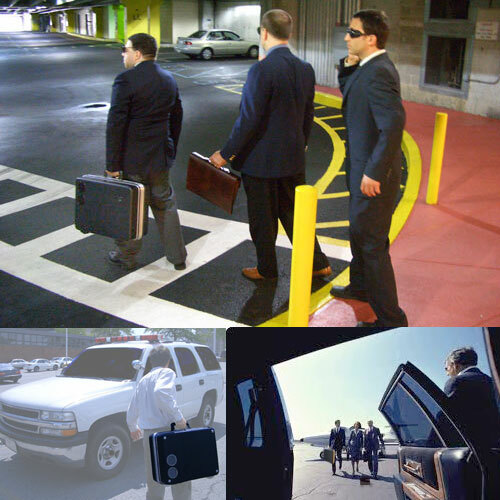 Portable RF Jammer VIP 200 is a hand held IED Jammer built into a briefcase. It is designed to transmit RF interference or radio frequency interference in order to block a radio receiver found in a Cellular IED, Satellite Phone IED, Mobile IED, or Radio IED from obtaining any RF trigger signals. These signals are used by terrorists and insurgents to detonate an RCIED or Remote Controlled Improvised Explosive Device. RF Jamming using this portable Bomb Jammer ™ gives the user the edge when trying to avoid an attack from a Remote Controlled IED. Specific IED ambushes involve a terrorist or insurgent transmitting a detonation command from a landline or cellular phone to a Cellular IED, Mobile IED, or Satellite Phone IED. In these instances, the phone is connected to an explosive and is detonated on command by someone who can generally see if the victim is within range of the IED. The Bomb Jammer ™ VIP 200 helps block RCIEDs from receiving their detonation signals by saturating the area with RF interference to neutralize the radio receiver, making it almost impossible for any RF signal to penetrate and trigger the explosive IED.